The Southern Star Group is proudly supporting cancer research and patients by sponsoring two riders from Edgepoint Homes in the 2016 Tour de Cure. Ben Thomas and Robbie Crumpton will be joining a 120-rider peloton to complete a 375km ride though country Victoria to raise much-needed funds for a new Kids' Immuno-oncology Research Program at the Peter MacCallum Cancer Centre. To date, Edgepoint Homes has raised $123,512 to support the efforts of the Peter MacCallum Cancer Centre, a fantastic achievement. Since 2007, Tour de Cure riders, volunteers, support crew, corporate sponsors and other supporters have raised in excess of $25 million and funded over 252 cancer research, support and prevention projects, leading to 18 cancer breakthroughs. ‘Supporting Someone with Cancer’ Program that aims to reduce the carer burden, stress and isolation, including children and youth impacted by a family members' cancer diagnosis. Establishment of five new protective isolation rooms with ‘negative airflow’ at the Bone Marrow Transplant Ward, St Vincent’s Hospital. International birth cohort studies to find a child’s increased risk of developing cancer in order to prevent it. We wish Ben, Robbie and all involved the best of luck for the ride and are proud to be involved in the project and cause. 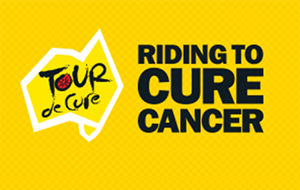 Visit www.tourdecure.com.au for more information.